Having your Information technology services distributed to different vendors may be secure for some but it can sure cause headaches when problems arise. Who do you hold accountable for down IT services? Do your providers hold up to your service level agreements? What is the up-time for the services that you are getting from your IT services provider? These are only few of the questions you should be asking your vendors. With our services highly dependent on technology it is critical to get most out of the services as down IT services mean, down productivity and loss of business. Whether it is an email outage, website down, phone outage, server or network outages it all impacts your business in some shape or another. It can either turn away potential customers and sales leads. 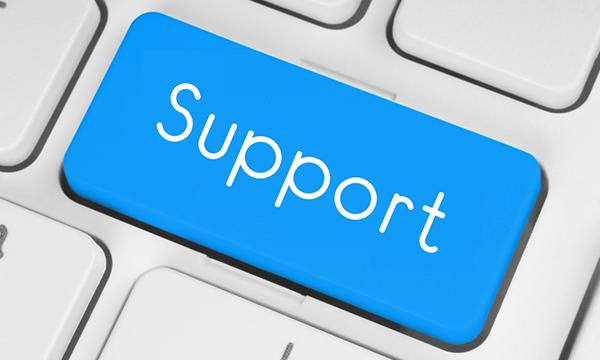 Finding the right IT support company is critical to businesses, where there is a guaranteed available up-time. At AMS Networks, we guarantee an up-time of 99.999% which only gives us roughly five minutes in an entire year for your services to be potentially down. Our engineers work hard around the clock, so you can enjoy peace of mind running your business as your productivity goes up. We provide the highest rated 24/7 help-desk services. Wouldn’t you like to go to one IT vendor that guarantee’s an availability of 99.999% of all your IT services to include: email, phone, fax, servers and networks? AMS Networks’ provides on-premise (on-site), managed cloud services (on the cloud) and hybrid IT solutions to customers. If you are located in Virginia, Maryland or DC, you are in prime location of being a potential customer for AMS networks. Contact us to learn about how we can improve your networks’ availability and reliability. We guarantee your total satisfaction! Contact us at 703-662-5800 or visit our contact us page to schedule a free on-site consultation.